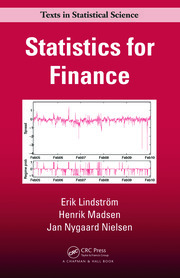 This book provides an introduction to the use of statistical concepts and methods to model and analyze financial data. The ten chapters of the book fall naturally into three sections. Chapters 1 to 3 cover some basic concepts of finance, focusing on the properties of returns on an asset. Chapters 4 through 6 cover aspects of portfolio theory and the methods of estimation needed to implement that theory. The remainder of the book, Chapters 7 through 10, discusses several models for financial data, along with the implications of those models for portfolio theory and for understanding the properties of return data. 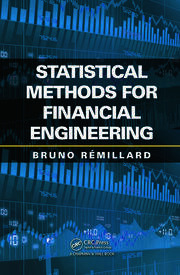 The audience for the book is students majoring in Statistics and Economics as well as in quantitative fields such as Mathematics and Engineering. Readers are assumed to have some background in statistical methods along with courses in multivariate calculus and linear algebra. Thomas A. Severini is a professor of statistics at Northwestern University. He is a fellow of the American Statistical Association and the author of Likelihood Methods in Statistics and Elements of Distribution Theory. He received his PhD in statistics from the University of Chicago. His research areas include likelihood inference, nonparametric and semiparametric methods, and applications to econometrics. "This will be an excellent textbook designed for more mathematically oriented undergraduates and masters students. A course out of this book could be offered by mathematics, statistics, economics, and engineering departments. Students will find that this book provides valuable preparation for a career in finance. Professor Severini is a distinguished researcher. His clearly-written book combines a theorem-proof style typical of mathematics texts with concrete examples that will aid students' understanding of key concepts. Many examples are done in R which has become a popular teaching tool for courses at all levels. Besides its use as a textbook for formal courses, this book will be valuable resource for self-study." "Data-driven approaches to financial analysis have gained in prominence with the availability of high-performance computing and access to large databases. Balancing such a perspective with an accessible introduction to statistical theory is what sets this treatment apart. Throughout, a hands-on approach using R code and market data is used to explain both statistical concepts and to implement financial models. Thus, students may be able to grasp the theoretical underpinnings for analysis without feeling overwhelmed by them. This is a welcome addition to the Texts in Statistical Science series, and I will encourage my advanced undergraduate students to keep a copy close at hand." "This book is both an exceptional introductory textbook and the essential desk reference for all students and practitioners of financial econometrics and quantitative finance with an interest in quantitative portfolio design and analysis. 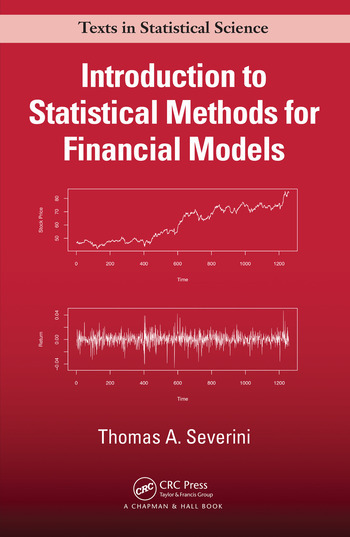 This well-written book begins with a deceptively simple introduction discussing financial data and its basic models together with how to estimate these models. It develops all the techniques required to estimate and apply the standard theoretical portfolio models, and includes R codes that help the reader understand the material and implement it on real datasets. It confronts the well-known instability of weight estimates in the Markowitz portfolio model head on and provides modern techniques for improving the required statistical estimates. These first seven chapters would, taken alone, represent the ideal book for a deep, rigorous one semester course on portfolio theory for senior undergraduate or graduate students in economics, actuarial science, or quantitative finance. Three more beautiful chapters remain, covering the Market Model, the Single-Index Model, and Factor Models. Each chapter ends with an insightful guided tour of other important books and papers in the area that allow deeper engagement with the material. 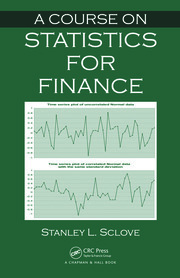 It includes more than 150 questions which encourage students to develop theoretical familiarity with the concepts introduced, facility with the R computations required to apply these concepts, and the beginnings of the deep financial intuition about markets which the author clearly possesses."